Looking for a top Colorado Springs painter? I would like to tell you something about our approach to painting so that you can make an intelligent decision in your selection of one of the many Colorado Springs painters. Not everyone has the inclination, the talent, and the experience to do a good and lasting paint job that will enhance the appeal of a house or room. This is where we, can make the difference, as our other customers can attest. Maintenance and beauty are both very important to you as the property owner. Colors can be applied to a house without consideration of surface preparation, leaving the probability of some form of failure of the paint to the surface. Ignoring some basic principles of taste and blending of colors can be disappointing as well. The appearance of your house is usually what prompts you to begin the process of getting a new paint job. As a contractor, my underlying concern is the condition of the exterior of your house and how I might do a job that has longevity to it. You and I will work together so that the final result is an outstanding look, as well as enduring protection tothe surfaces of your house. 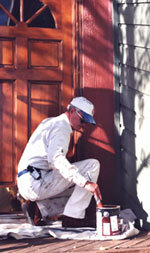 This is a challenge that I have met many times as an experienced Colorado Springs painter. What makes an exceptional Colorado Springs Painter? The duration of a painting job is directly linked to the preparation. In order for the new paint to properly adhere care must be taken in this regard. Preparation also affects the attractiveness of a house. When proper care is not taken in preparing the surface to be painted the end results will not be nearly as lasting. This usually entails washing, scraping, sanding, priming and caulking, as well as any needed repairs to skin of the structure. What kind of paint is used and how it is applied to the house are equally important. Each manufacturer of paint has various grades of product. The thickness of the product applied is important, as well. A good paint job usually includes two separate coats of a high quality paint product, the second being applied after the first has dried sufficiently. 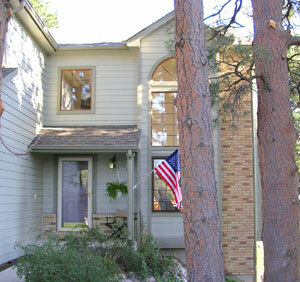 Not all Colorado Springs painters use the same quality of product, and apply it properly, as it should be done. I have arrived at a method that is more than adequate for the protection and beautification of a house. I will apply a high quality product to your house, according to the amount specified by the manufacturer after I have adequately prepared the surface. In short, the entire job is done right from the beginning to end, and the house not only looks good when we are finished, but the job will last as long as it should. If you are looking for a Colorado Springs Painter, won’t you give us the opportunity to demonstrate to you that we are one of the very best? Let’s get it done with the Pioneers! Wagons HO! "I have had Michael work on several projects for the past 8 - 10 years. First of all, he is always there when he says he will be there. That in its self is a great recommendation today. Michael has completed small projects to complete remodels. I consider his drywall and painting the best I have ever had. When he leaves a project it is clean, with no mess for me to take care of. I appreciate his honesty and fairness. 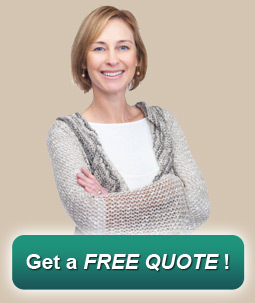 Having been in the rental business for over 30 years, I feel like I can speak from experience."